Even with all the amazing analytics tools available, many businesses and marketers struggle to measure their social media ROI (return on investment). Which metrics matter and which don’t? How do you know you’re on the right track? Essentially, how is your social media helping you grow your business? In this blog post, I’m going to show you how to measure your social media ROI: the complete guide. Why do you need to measure your social media ROI? What makes measuring your social media ROI so difficult is the fact that not all goals and statistics are easily quantifiable monetarily. In fact, most social media stats don’t really bring in any income directly. Think of engagement, for example. While it’s arguably one of the most important stats and a clear indicator of a social media campaign’s success, it doesn’t exactly bring in any income directly – or at least, not any that you can accurately calculate. How do you measure the value of a share? What revenue does a comment bring you in? These types of questions are pretty much impossible to answer, but that doesn’t mean that you can’t measure your social media success. You just need to use different tactics – tactics that you should use not just so you can measure your ROI, but also so that you can learn how you can improve your social media strategy, time and time again. That said, it’s very difficult – if not impossible in some cases – to accurately track your sales growth as it relates to social media marketing. Social media can bring in a lot of value to your business, but that value isn’t always directly tied to your revenue. However, if you want to make the most out of them and actually measure your ROI, you need to be a bit more specific with your objectives. For example, “more traffic” is not a great goal. A good goal would be something like “10% increase in Facebook traffic in the first 30 days” – something that, as you can see, is highly specific. 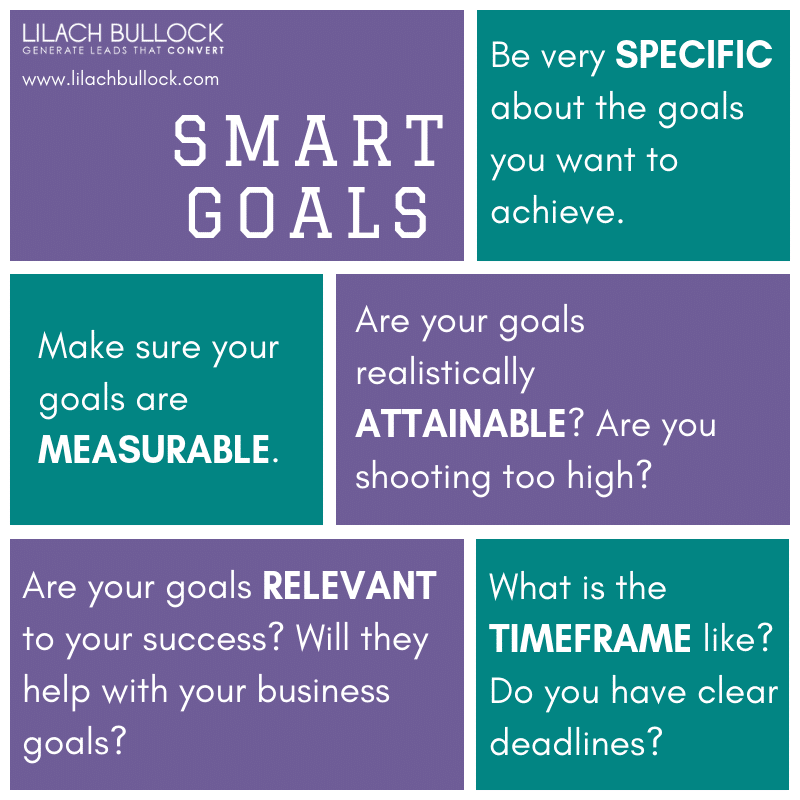 So whenever you set a social media objective, take the time to run it by the SMART goal-setting template to find out whether you’ve got a good objective or not. When checking out your social media stats, it’s easy to be blinded by so-called “vanity metrics”, like your follower numbers or likes. In fact, some might argue that most social media engagement is just about the vanity. But in fact, a better way to define vanity metrics is as those metrics that aren’t relevant to your goals. Let’s say you wanted to improve your conversions from social media. Why would you care how many new followers you have? Or how many shares your posts got? What you would care about is…well, how many conversions you’ve made. So as you can see, vanity metrics can change depending on your goals; that being said, I would argue that some metrics – like follower numbers or likes – although not completely unimportant, they are certainly more about the vanity than the results. These types of stats might make you feel good about yourself – especially if you have lots of followers – but at the end of the day, they don’t really help you make any decisions regarding your social media strategy. Social media can be a great tool for increasing your website and blog traffic. Traffic, thankfully, is one of the more straightforward social media goals that you can measure as the metrics are easier to track. Whenever you share links on your social profiles, you can add UTM parameters to help you track your links in much more detail. 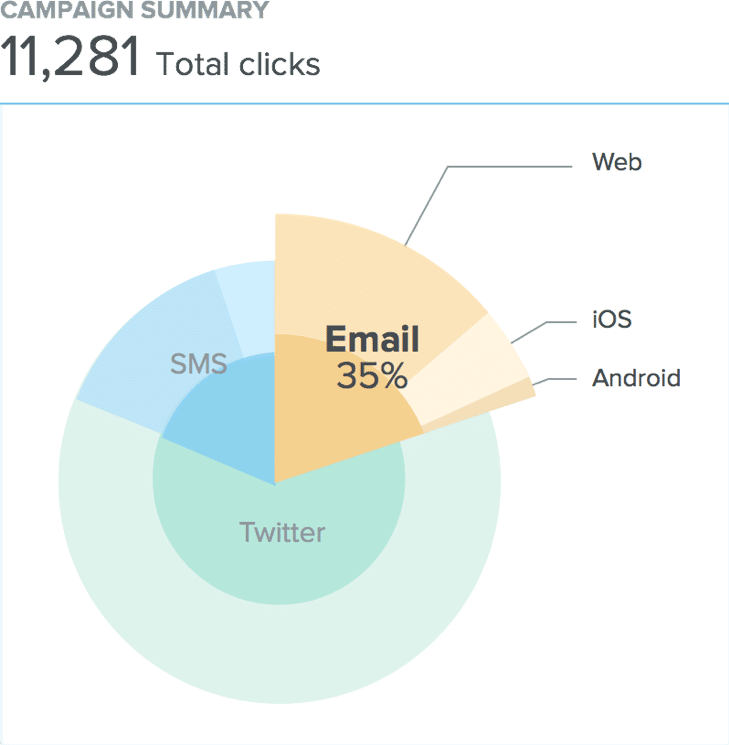 If you’re not familiar with the term, UTM parameters are these pieces of code that you add to links in order to track a campaigns’ success (or even a specific link/update). They can be very valuable to you – and they are very easy to set up, as I’ll show you in a bit. But first, let’s talk a bit more about what exactly they are and how you can use them. As I said earlier, UTM parameters are pieces of code that help you track your links – the question you might have now is, well, why can’t I just use Google Analytics for that? That’s because Google Analytics, although such a powerful tool, doesn’t actually tell you where your traffic is coming from. Sure, it tells you it’s coming from Facebook or Twitter, but not what campaign brought it in. Or what specific update drove that traffic. And that’s exactly what UTM tracking links do – they tell you not only what social network got you the traffic, but also (depending on how you set up your link) which specific update/URL, which social media profile, which group, and so on. Which makes it not only a great tool for measuring your social success, but also a great tool for testing your strategy, your links, and so on, to see what works and what doesn’t. For example, you can use UTM tracking links to test which social media groups get you the most traffic; simply create a different UTM tracking link to share on each group to see which ones performs best in terms of traffic, of quality of that traffic, or if relevant, of conversions (which I’ll show you how to track in a moment). You can customize your links even more than this and add more parameters – it’s completely up to you, but generally, these 3 parameters are enough to help you track most campaigns. Some services also let you set up so-called dynamic UTM parameters; these are useful when you want to post the same link to several sources and don’t want to have to input all of the parameters each time. Whenever you publish or schedule a post that has a link included, you can turn on UTM tracking and complete the parameters – or add more custom parameters (although they have the basics built-in: source, medium, and campaign). Or, you can click on Text for any of the parameters, and turn on “dynamic”. As I mentioned before, this comes in handy when you want to post and track a link across different sources. All you have to do is select whether you want to track a social network or profile name and the tool will select the right values for your parameters whenever sharing your link on social media. And, if you connect Agorapulse and Bitly (the link shortening service), you’ll be able to also shorten these admittedly too long URLs. Now, what about tracking these links? This is actually very easy to do: just go into your Google Analytics account and visit Acquisition -> Campaigns to start tracking. Not only will you be able to see exactly where your traffic is coming from, but you’ll also be able to determine ROI from conversions for each link once you create conversion goals in Google Analytics (which, as I’ve said before, we’ll get to in a little bit). One of the ways to track the traffic you’re getting from social media is to use one URL shortener for all of the links you share so that you can easily see exactly how many clicks each one is getting with their built-in analytics. Custom URL analytics are quite limited though, so it’s best to use them in conjunction with Google Analytics’ social media traffic stats. Google Analytics is one of the best tools you have at your disposal to track your social media success – and it’s free to use! To get started, head over to Google Analytics -> Acquisition -> Social – this is where you’ll find all the information you need about your social media traffic. And, once you set up conversion goals, you’ll also be able to see an overview of your social media conversions – I’ll tell you all about those and how you can set up conversion tracking in a bit. This will help you focus on the best performing social platforms, as well as help you optimise your website and your content strategy in order to attract more traffic and keep them around for longer. As I mentioned a few times earlier, Google Analytics allows you to create conversion goals, which you can use for all of your web traffic, including, of course, your social media traffic. You’re allowed to create up to 20 different conversion goals so you might find yourself needing to change older goals as you go along. So, are your visitors taking action on your website? Are your visitors taking action on your website? 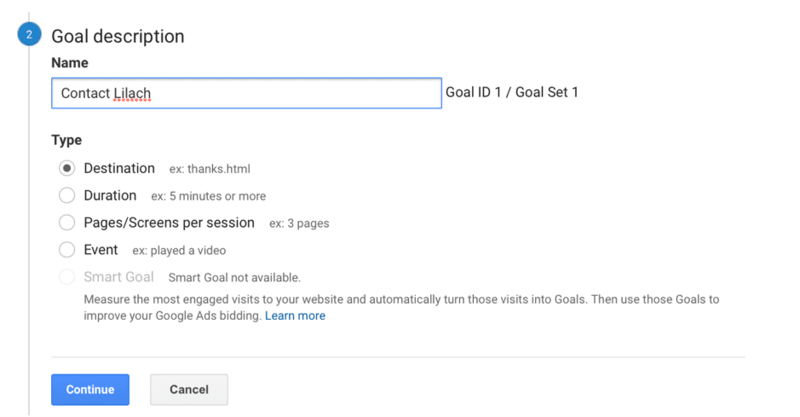 Whatever type of conversion you want to track, you can easily do it with the Google Analytics Goals function. Specific link/destination: is your social traffic visiting a particular page that you want them to? On the third stage, Goal Details, you can also add a monetary value for each of your goals. This value is completely up to you and you’ll need to use your intuition and knowledge of your business to set up an accurate value. “If you can close 10% of the people who sign up for a newsletter, and your average transaction is $500, your newsletter sign up goal could be $50 (…). In contrast, if only 1% of signups result in a sale, you might only assign $5 to your newsletter sign up goal”. Or, for example, for every ten people visiting a particular page that you’ve set up as a goal, how many of them convert? And based on the products and services you sell on your website, what would be the average sum spent by users on your website? While setting this value will not give you the absolute, correct numbers, it will still give you a pretty good idea of how many conversions you’re making and what you’re potentially making from them. Measuring your social media success is not always easy or straightforward but it’s very important if you want to know if you’re on the right track and doing everything possible to improve your strategy. As I mentioned earlier, measuring your social media ROI is not just about the numbers or the vanity, it’s a way to improve your results time and time again. It’s about learning from yourself – which is, in fact, one of the best ways to learn, in this case. Which updates performed best or worst? Why? What does that say about your audiences’ preferences and interests? Why did you have a big spike in results (or the opposite) during a certain period? Why have you not achieved your goals? What can you do differently to improve your results? such a good post! I enjoyed it. this is some informative material thats what i was looking for i have been trying to grow my social media page but i didnt really knew that how to track it but i guess now i know what to do so Thanks ! Wow, this is a full guide. Essential referral material for beginners. I will use this post to train beginners. It is safely added to my “Pocket” collection. Thanks Clive 🙂 Love Pocket too! Thanks for sharing such an amazing and valuable piece of content. Really learnt a lot of new things. This article gives the complete information to measure social media success for any businesses. Social Media has the power to increase customer loyalty. Thanks for sharing.